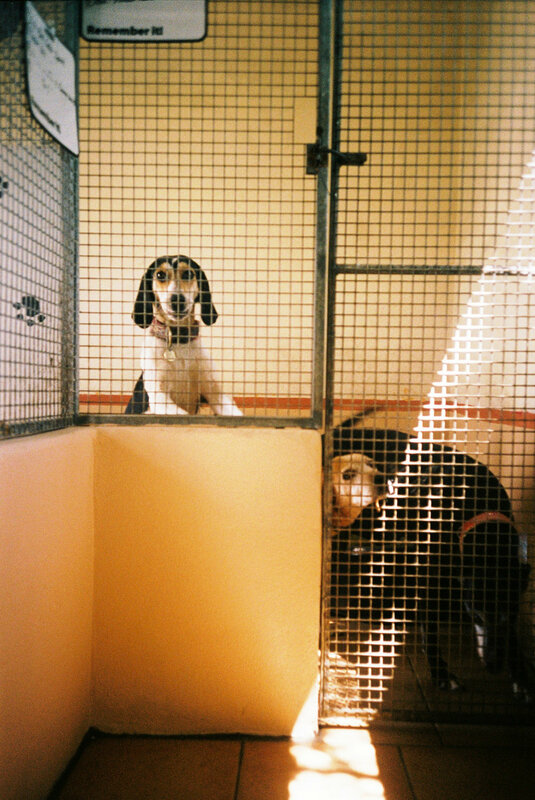 The idea for ‘Take Me Home’ came about a few months ago when we realised the lack of awareness for dogs in rescue shelters. There seems to be a stigma attached to these dogs, particularly those of a restricted breed, which sometimes causes people to choose to buy their pet from a breeder despite the large number of healthy dogs living in shelters, unable to find homes. Over the last few months we have visited some shelters around Ireland in an attempt to capture the story of these animals. We often found that so-called “restricted breeds”, such as bull terriers and Alsatians, were in abundance, despite being among the most affectionate and emotionally engaged dogs. Similarly, a high percentage of breeds coming into shelters were lurchers or greyhounds, which are usually bred as racing dogs. Those who are deemed unfit to perform due to injury or age are often cast aside or abandoned (if they are lucky enough to escape euthanasia). Despite their loving and devoted personalities, they are often not considered for adoption due to their high energy, size and anxious tendencies. This is the story of the dogs who are notoriously harder to rehome – older dogs, restricted breeds and greyhounds. The ones who are often forgotten.